Productive, prolific, and tolerant of a fairly wide range of temperatures, you almost can’t go wrong growing Swiss chard. Among the benefits of growing Swiss chard: it’s an excellent source of several minerals and vitamins A, C, and K, making it a valuable food for maintaining strong bones. Gardeners have been growing Swiss chard since the time of Aristotle, a testament to its enduring appeal; food plants have a way of making friends when they’re colorful, nutritious, delicious, and hardy. Chard is sort of a forerunner to beets and a close cousin to spinach, close enough that in many instances it can be substituted for the latter. We’ve compiled a few suggestions here for its cultivation and storage. White-stemmed varieties consistently outperform their more colorful counterparts in terms of productivity and bolt resistance. Brightly colored varieties are the queens of edible ornamentals. Varieties bearing red, pink, yellow, or orange ribs are available individually or in pre-packaged mixtures. 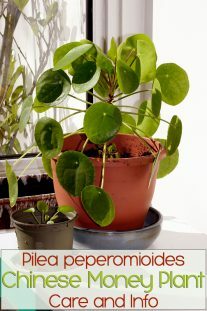 Description: Broad white stems, often flattened, with glossy green leaves. Tend to be more productive and more tolerant of both cold and heat than colored varieties. ‘Fordhook Giant’ consistently outproduces other varieties in field trials. Description: Excellent ornamentals. Tall pink- and red-stemmed varieties such as ‘Pink Passion’ or ‘Burgundy’ often grow quite tall and tend to be highly productive. Red varieties may bolt if planted too early in the spring. Sample various hues by trying seed mixtures. Description: The more leaves you pick, the more new ones emerge from the crowns of these sturdy plants. Popular in Europe, green-leafed perpetual chard bears mild-flavored greens over a very long season. Prepare a rich, fertile bed by loosening the soil while mixing in compost and a balanced organic fertilizer, applied at label rates. 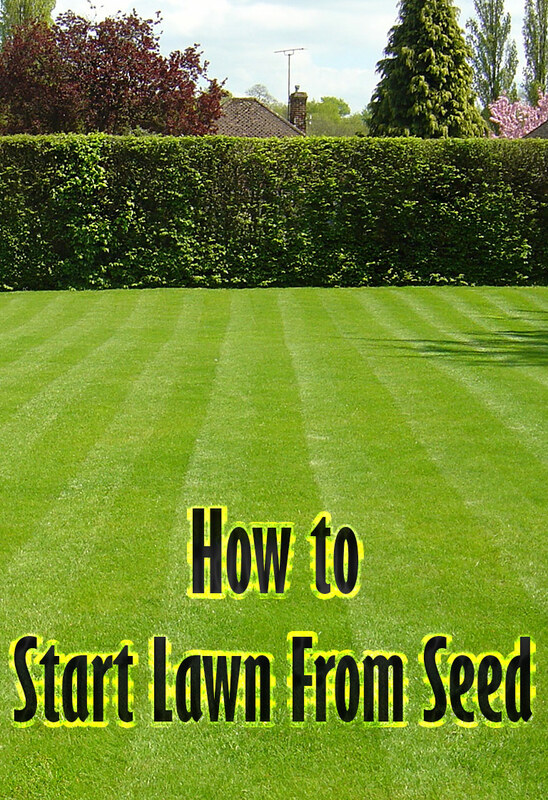 Plant seeds half an inch deep and 3 inches apart. Set out seedlings 12 inches apart. Indoors or out, thin newly germinated seedlings with cuticle scissors instead of pulling them out. Chard seed capsules often contain two or more seeds. If more than one germinates, promptly snip off all but the strongest sprout at the soil line. Gradually thin direct-sown seedlings to 12 inches apart. Viral diseases cause new growth to be small or distorted, with unusual crinkling of leaves. Plants sometimes outgrow infection. Watch affected plants for a week or two and pull out those that show no signs of improvement. Twist off individual outer leaves and compost old leaves that have lost their glossy sheen. Three to five leaves can be picked from mature plants at a time, but be sure to leave the growing crown intact. Frequent picking helps to stimulate the production of new leaves. Rinse leaves with cool water immediately, shake off the excess moisture, and store in plastic bags in the refrigerator for up to four days. Excess chard is easy to blanch and freeze, just like spinach, and you can dry perfect leaves and use the “flakes” to add color and nutrition to winter soups and stews. Chard stems are sometimes made into fermented pickles, or you can pickle the stems and leaves together with a standard vinegar-sugar brine before sealing the jars in a waterbath canner. Like other biennial plants, chard produces flowers and seeds in the spring of its second year, after it has been through winter. Chard is only winter-hardy to about 15 degrees Fahrenheit, so in most areas you must dig the plants in fall and replant them in spring if you want to save seed. Through winter, keep the trimmed plants packed in damp sand in your basement or another cool place. Set them out four to six weeks before your last frost date. 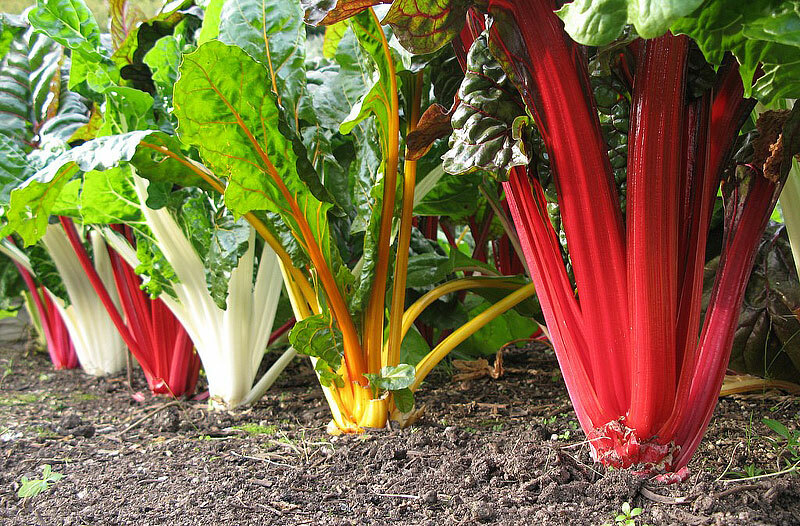 Chard is wind-pollinated, so at least six closely spaced plants are needed for good seed set. Look for greenish flowers followed by seed capsules clustered close to the stem. When the stems dry to brown, crush them inside a paper bag, and gather the largest seeds that fall to the bottom. Store them in a cool, dry place. 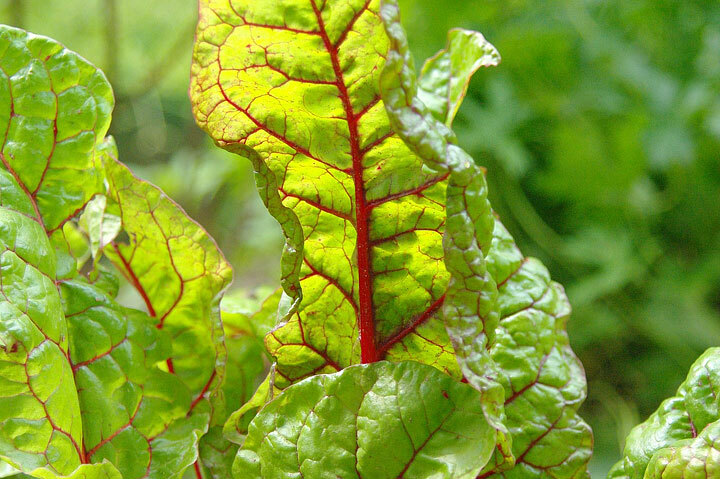 Chard seeds will keep for at least three years, and often longer. If you plant a 10-foot row each year, a packet of seeds will last you three years and bear 10 to 12 pounds of chard each season. 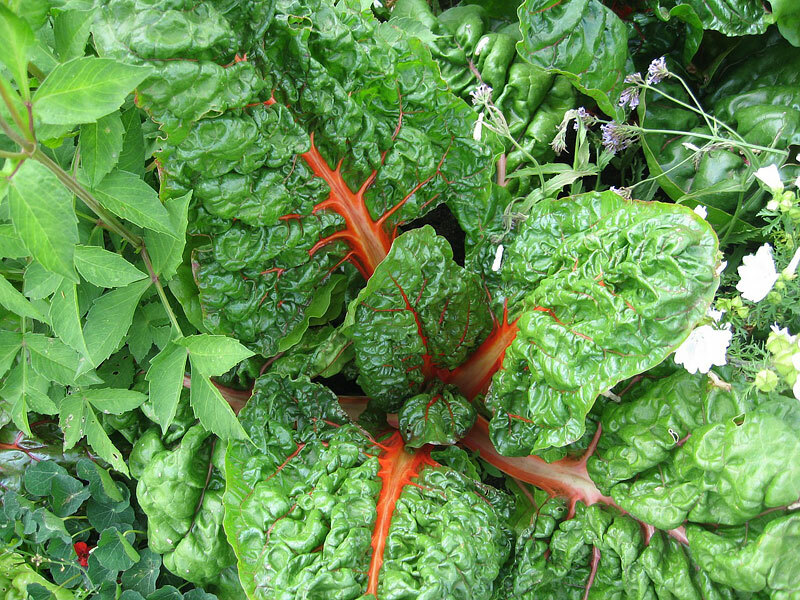 Weed early and often, because young chard competes poorly with weeds. As the plants gain size, they do a reasonably good job of shading out late-season weeds. Mulch heavily to keep the soil cool and moist, and to reduce splashing of soil onto leaves. Water regularly, because dry conditions tend to make Swiss chard’s flavor harsh. Color up your garden with trios of bright chards planted in intermittent mounds. Station chard in high-visibility spots near the front of the garden. Create maximum contrast by growing chard in close company with fine-textured plants such as carrots, dill, or curly parsley. Soak seeds overnight in water before planting to ensure strong germination. Rejuvenate plants in late summer by pulling off old leaves, spreading a little compost over the root zone and drenching with a water-soluble organic fertilizer. They will respond by making a strong comeback in early fall. You can keep picking chard for a few weeks after your first fall frost. Use shade from taller plants such as sweet corn, tomatoes or sunflowers to filter intense summer sun, which can cause off flavors. Where summers are hot and dry, locate chard on the north or east side of taller plants. 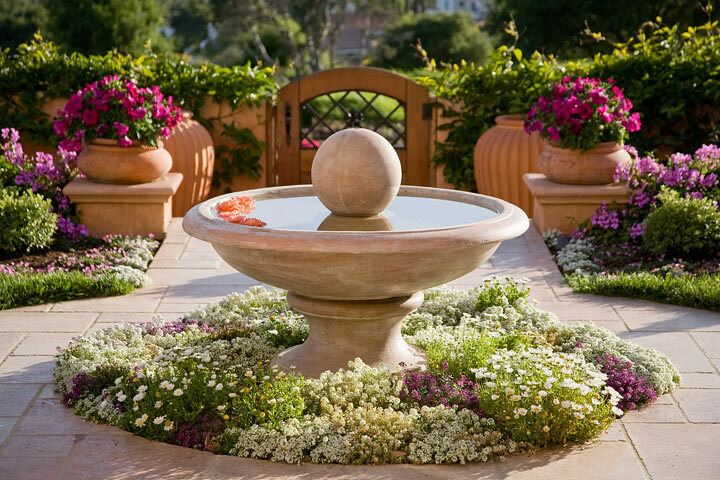 Use a single chard plant as the centerpiece for a small collection of culinary herbs that have been planted together in a broad container. You can usually twist leaves away from chard plants, but as plants age they push out of the ground a bit, almost like beets. When this happens, it’s better to harvest the leaves with a sharp knife. Chard is two vegetables in one. Cooked chard greens can stand in for spinach in any recipe, and the crisp ribs can be steamed or grilled like asparagus. Or simply chop and cook the greens and ribs together, squeeze out excess water, and use the cooked chard in casseroles, quiches, or as a succulent side dish. 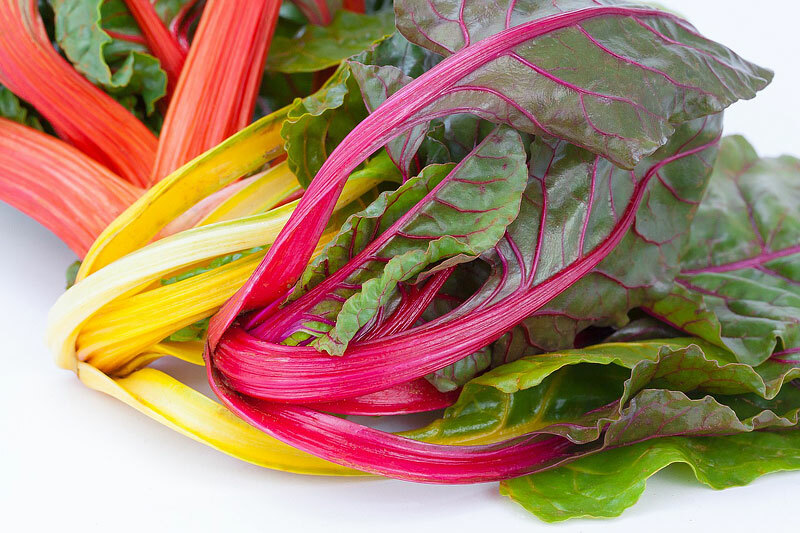 In addition to being an excellent source of vitamins A and C and several minerals, chard’s abundance of vitamin K makes it especially valuable for maintaining strong bones.